Tadashi, please introduce yourself briefly. 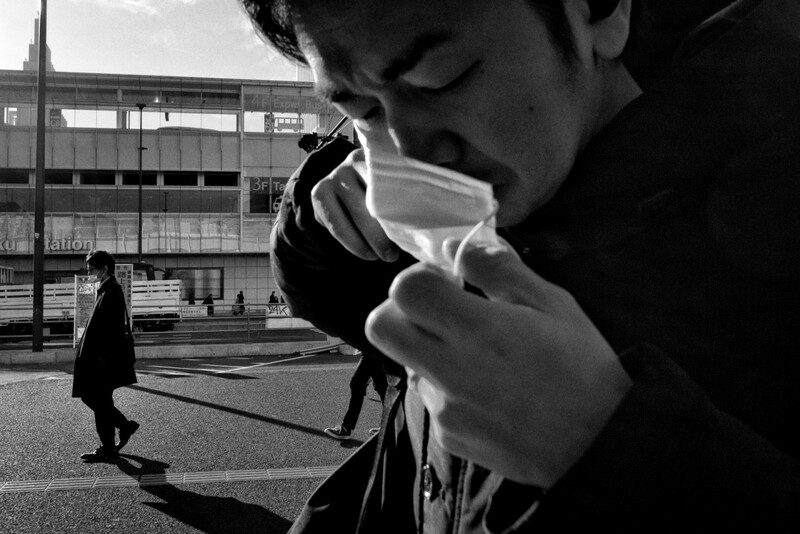 I am a street photographer based and born in Tokyo, Japan. I started shooting on the streets in 2014. I am a self-taught photographer, attended workshops like “Resist” by Masayuki Yoshinaga and Daido Moriyama in 2015 and a documentary workshop by Q. Sakamaki and Toshiki Toyama at the Tokyo photographic art museum in 2016. I held my solo exhibition “Zebra The City” at Konika-Minolta gallery at Shinjuku, Tokyo in 2016. 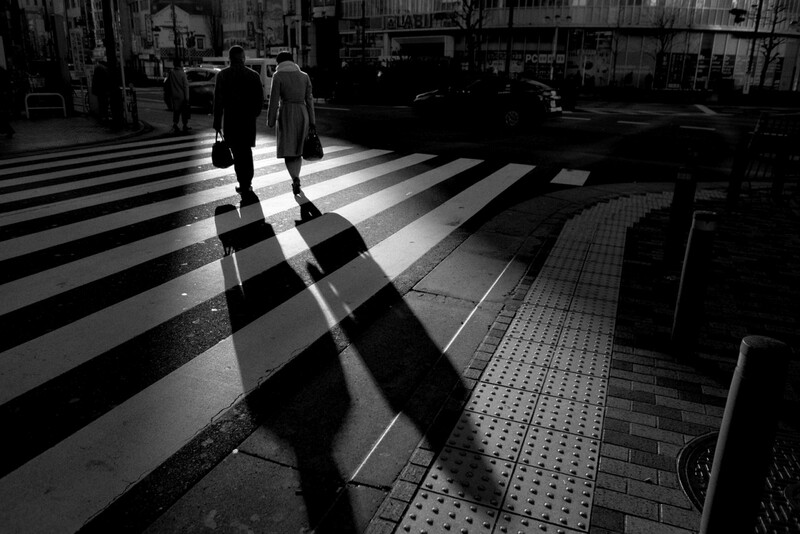 Trieste Photo Days had published my book “Lost in Shinjuku” in 2017 and I am a member of the street photography zine publisher VoidTokyo. Let us start with a short but not that simple question. 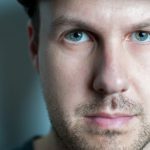 Why do you photograph? 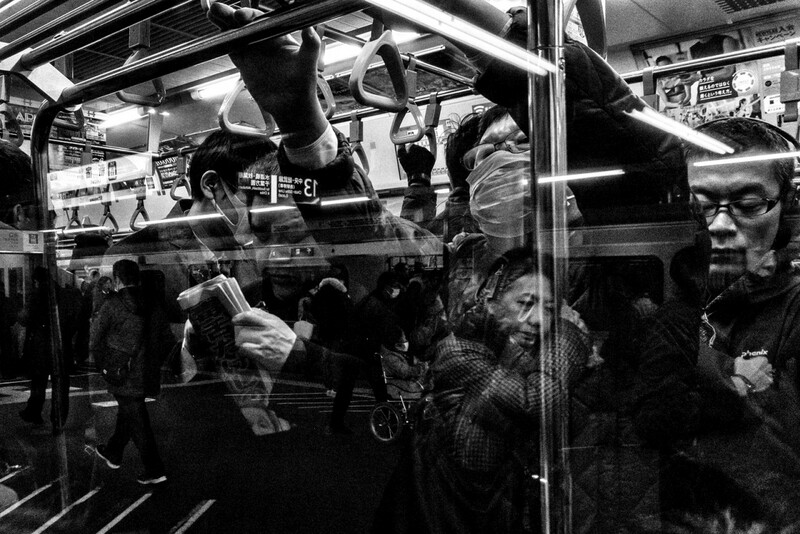 I want to photograph the city and street life combined with social nature, to find a common ground between street and documentary photography in Tokyo. I believe street photography has the power to motivate people to live in the city. 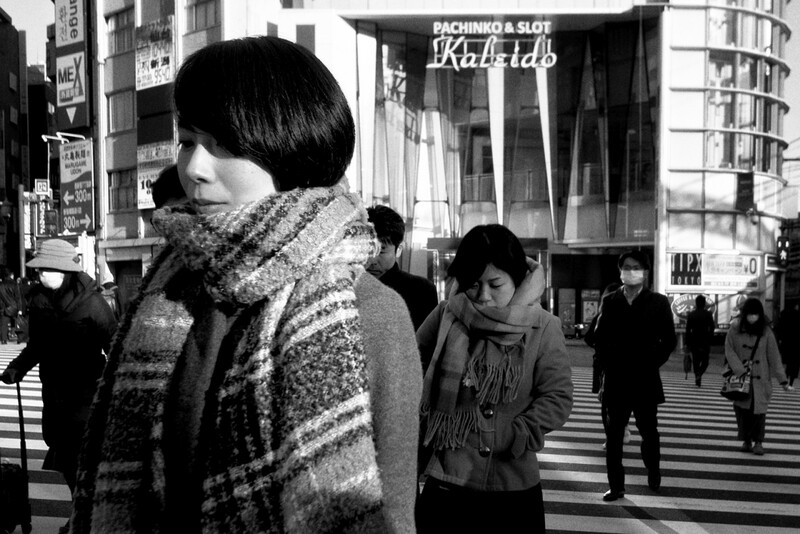 What makes Shinjuku, one of the most populous parts of Tokyo, so special for you and what do you look for when photographing out on the streets of your city? I photograph what I see around me where I am. That is the basis of photography to me. Shinjuku is just one of the places on my way to work. However, as you said, Shinjuku has many people passing by and being there, I feel many various emotions. But actually I am just one of those people. Shinjuku is like a transfer station to me, where I can / should switch my mind from home to work. In all of your series, you focus on the human element and their relationship with the city. Where does this motivation come from? 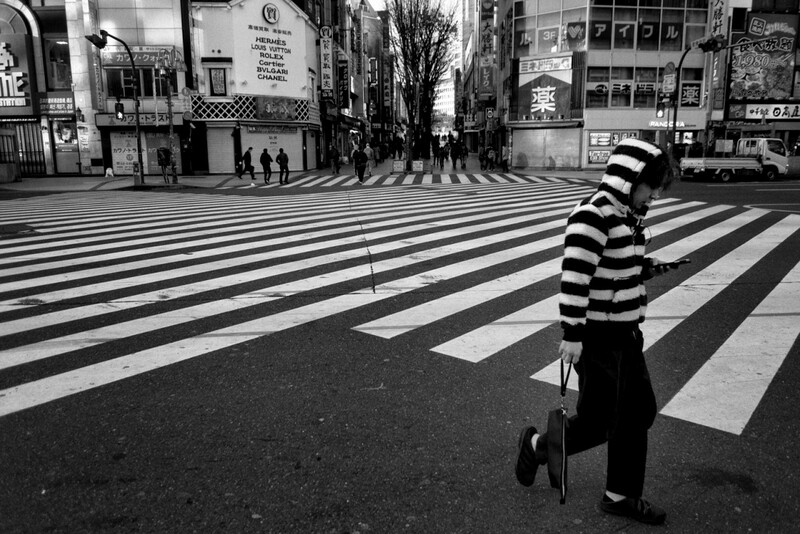 As for the Shinjuku series, to relax myself is my motivation to photograph there. There are the accumulated fragments of my life, feelings and coincidences between society and me. When I am in Shinjuku in the morning, I have very anxious feelings. By every click, my bad feelings dissapear and transform into the fragments that represent my life. So when the people see my photograph, they hopefully can read my feelings and understand why I shot it. In this regard, are people from Tokyo somehow different than people from other cites? 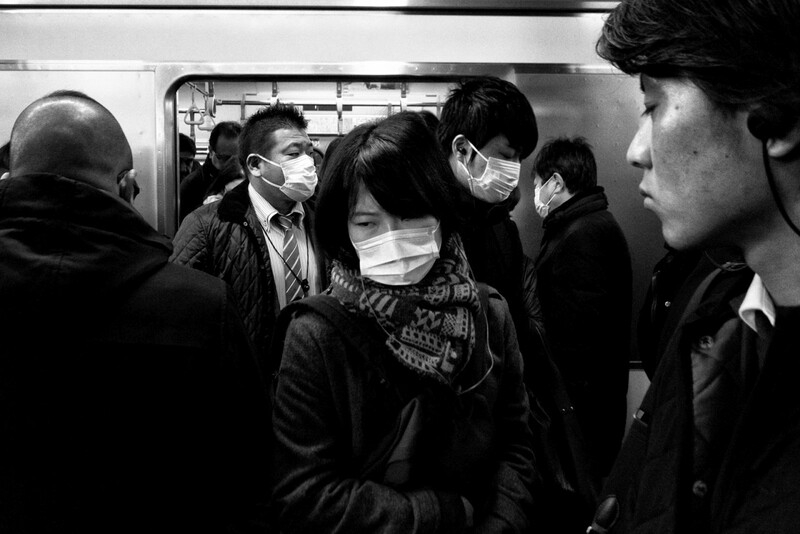 I feel like Tokyo is too busy, noisy and suffocating. Tokyo also has a very high suicide rate. On the other hand, Tokyo is a very attractive city related to art, culture, play and work. That is why Tokyo has the highest population in Japan. To me, the possibility to meet the diversified life is very attractive. Your submitted series was shot over a short period of time on the morning of 15. January 2018. Please tell us a bit about the atmosphere and your approach that morning. It was a sunny but not very warm morning. It seemed that there was nothing special going on in the city. I just started to walk as usual, as I walk every morning. Nothing happened in Kabuki-cho area, I just passed there. Then I headed to JR Shinjuku station. There was good light falling on the commuting people, but I could not catch it well. Then I went into the station and shot the trains and people at the platform. I photographed people with masks getting on and off the trains and tried to shoot the reflections on the train windows. Then I left Shinjuku to work. 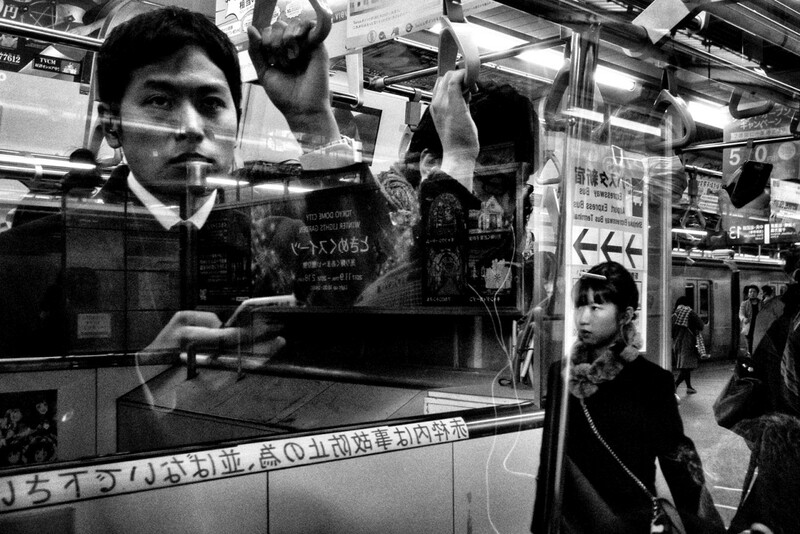 You are a member of Void Tokio, a collective focusing on photographing today’s ever-changing Tokyo. Please tell us a bit about the latest activities of the group. We have published Vol.1 and Vol.2. Now we are editing the Vol.3, that will be published on February 2018. We are always trying to top the images of previous publications. Vol.3 will be a very exciting issue. We hope it will work. Stay tuned on www.voidtokyo.media for our next issue. What are your personal future plans in photography? I will participate in the photo exhibition “Street tales” at the Euro Photo Festival in Milan from 18. March to 30. April 2018. I will hold my solo exhibition “Transit station” at Nikon Salon Ginza in April 2018 and Nikon Salon Osaka in May 2018. This year I am trying to finish some projects that I have been working on.